The flooding in Kerala caused massive destruction, several hundred deaths and displaced more than 300,000 people. The Sri Sathya Seva Sai Organisations (SSSSO) in Kerala and Tamil Nadu were mobilised into rescue and relief action in many severely affected areas. 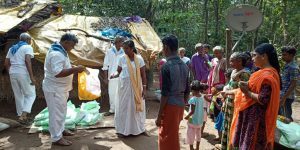 Sathya Sai volunteers distributed basic necessities such as pure drinking water, grocery provisions, sleeping mats, blankets, clothing and emergency supply kits and cooked food to thousands of people in relief camps in many affected districts. 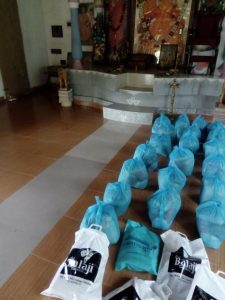 A key initiative was the Sri Sathya Sai Prema Dhara (SSSPD) kit, containing 35-40 items of grocery provisions to last a family of four for two weeks. 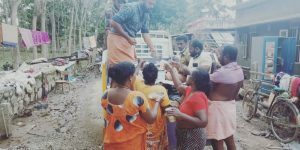 For more than a month, these life-sustaining SSSPD kits were prepared and distributed to many needy families in relief camps and the most devastated districts in Kerala, as well as tribal colonies in remote areas. 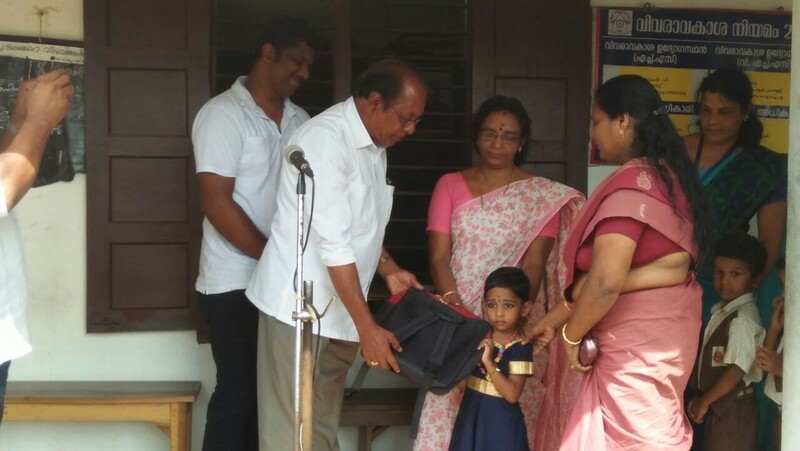 More than 10,000 families benefitted from this initiative. 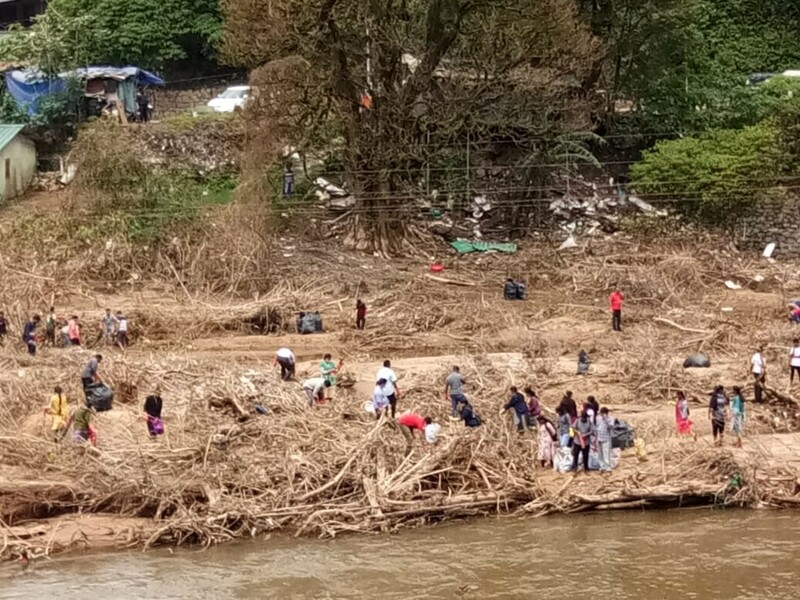 Disaster management teams rescued more than 1600 people stranded by the floods. The total amount of relief work completed by the SSSSO from 15th August to 10th September is staggering: Rs 2,09,94,814 worth of relief materials was distributed in 12 out of 14 districts. An average of 1770 Sai volunteers each day who served a total of 56,128 people. 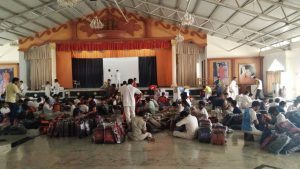 By Swami’s grace, the Sathya Sai International Organisation was given the opportunity to support the relief efforts. Cooked meals were served to thousands of flood victims in several relief camps. Relief donations of infant milk powder, baby food, and clothing poured in from various Sathya Sai Centres and Sai students from Puttaparthi. 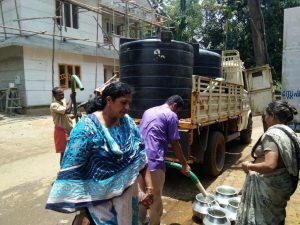 Many current students and alumni of Sri Sathya Sai Institute of Higher Learning (SSSIHL) participated actively in central collection centres by taking stock of goods and relief materials, including cleaning supplies, for dispatch. The SSSSO adopted an initiative to support families that lost their primary earning member. “May I help you” counters were also set up in Sathya Sai Centres to help flood victims access government aid. As the service activities moved from relief and rescue to the rehabilitation phase, many large-scale projects were undertaken. 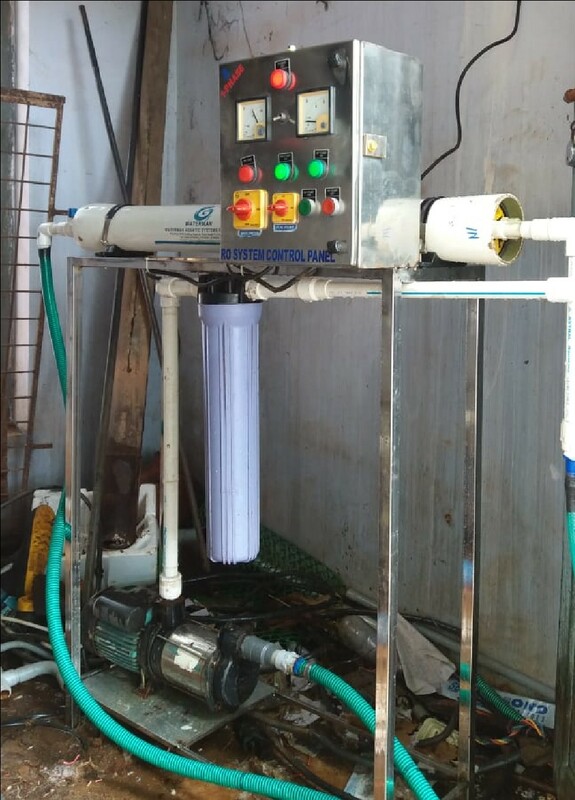 A milestone project was the installation of the very first reverse osmosis water purification plant, built and maintained by the SSSSO at Thripunithara, Ernakulam district. 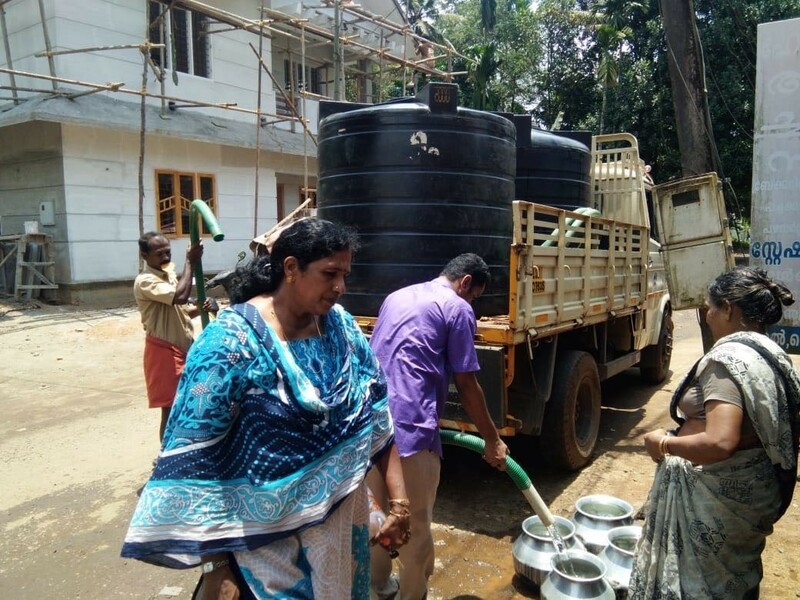 This facility provides 2500 litres of drinking water daily to the people in the relief camp. 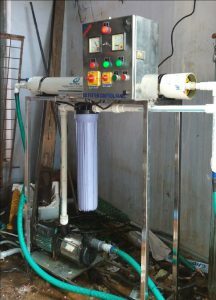 Other reverse osmosis water treatment plants were also built in areas with scarcity of drinking water. 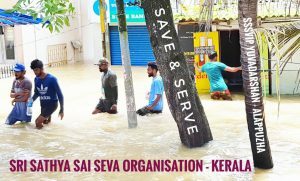 Each district set up a group of at least 100 active Sathya Sai volunteers, including many Sai youth, to provide sanitation services in the most flood-affected areas like Alleppey and Ernakulam. This was received with much gratitude by the residents. https://youtu.be/c7PTlppV6vs. During this rehabilitation and clean-up phase, many Sai volunteers were also involved in rebuilding of homes, cleaning of temples, schools and roads. Many participated in a three-day programme titled ‘CLEAN MUNNAR’ dedicated to restoring Munnar, a beautiful tourist site, to its original glory. 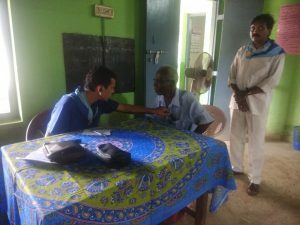 Sri Sathya Sai Medical clinics were set up in several affected areas to serve families. Medical camps commenced on 22nd August 2018 in relief sites in Alleppey and other flood-affected districts. 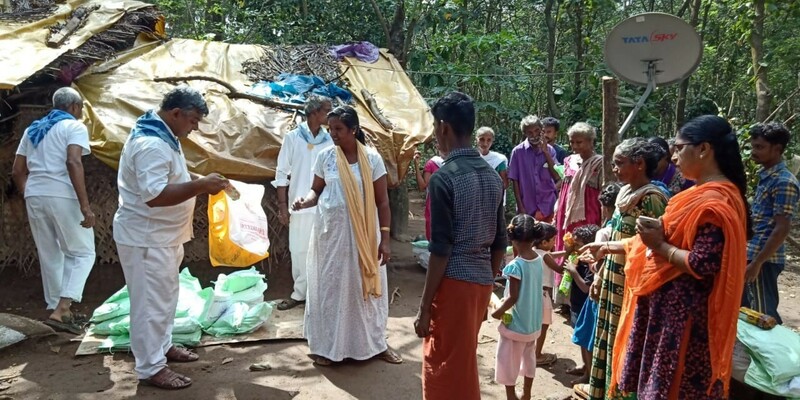 More medical camps have been planned in flood-hit areas, including five camps in Ernakulam district, two in Trichur district, six in Alleppey district, one in Pathanamthitta district, three in Wayanad district, and two in Malapuram district – altogether 19 camps between 6th and 30th September, spread across severely hit areas in the 6 districts. Another initiative was the school service project, launched in early September, in which school kits containing school bags and books were prepared and delivered to 3000 deserving students. Students of the SSSIHL, Brindavan campus, prepared 1200 school kits for distribution in Malapuram district. 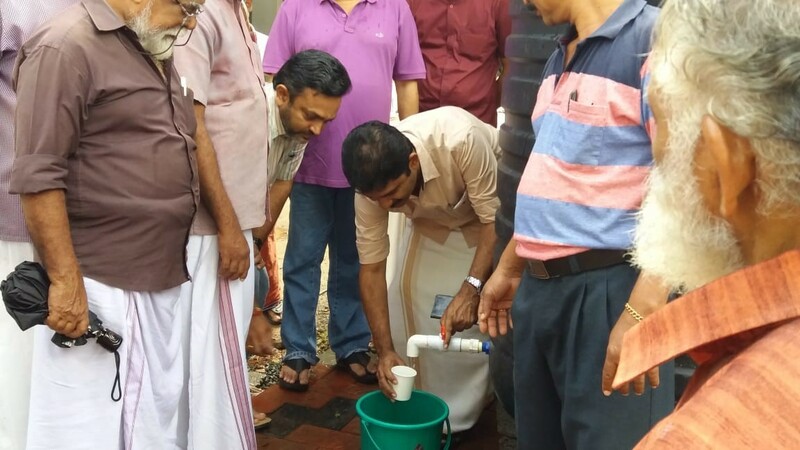 In addition, a team of 40 volunteers from Associated Cements, including trained plumbers, electricians, motor mechanics and other skilled workers came forward and offered to clean and repair the Sathya Sai School at Aluva, which was badly damaged by the floods. In future, the focus will be on increasing the distribution of school kits, and concentrating efforts in Alleppey, one of the most affected areas. Medical camps and school-focused initiatives will continue in all affected districts. The press has consistently highlighted the many wonderful actions undertaken by the Sathya Sai Organisation and has described in detail the flood relief activities- including the distribution of SSSPD kits, sanitation services, school kits for students, distribution of relief materials and medical camps. The service activities of the Samithi has also been acknowledged and appreciated by many including the Government, police authorities, local authorities and the media.